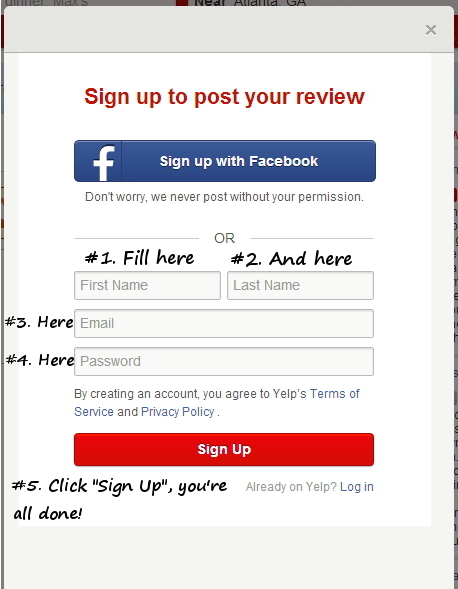 Click I’m ready to write a review and sign in to your account to leave a review. If you do not have an account, click on the sign me up option and fill out the form (it looks like the one below). You will then be able to leave a review.